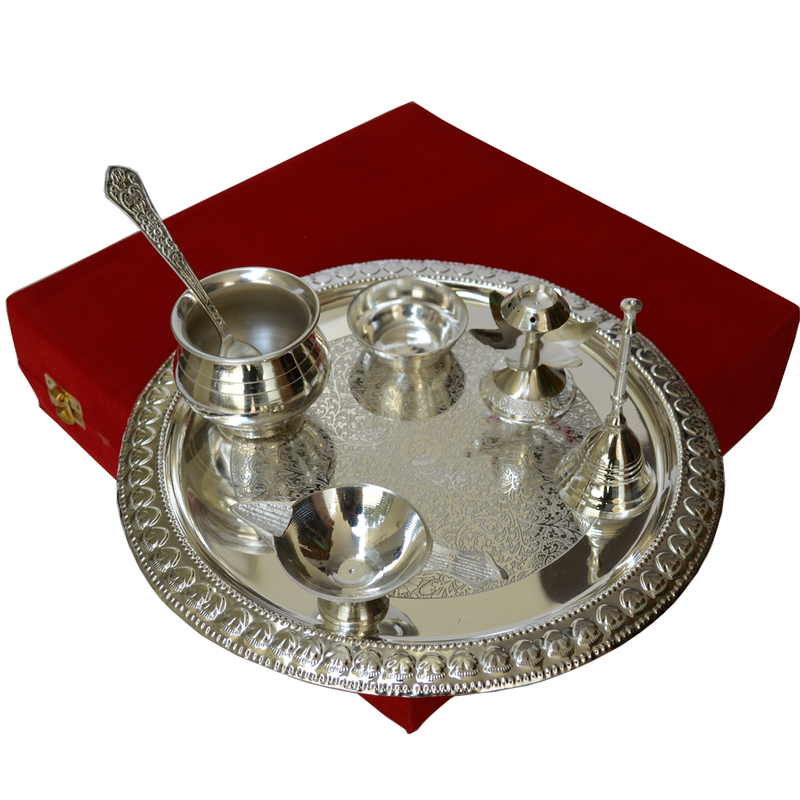 The Pooja Thali Set in German Silver consists of an intricately designed Pooja plate, as well as, an assortment of their items necessary for performing Read More..various religious rites during auspicious occasions. The other items included in this set range from katora and kalash, to incense stand and traditional bell. The inherent craftsmanship evident on this set, combined with the rich assortment of items makes it the perfect choice to bring home for auspicious occasions. Show Less..